Nike has announced its new line of performance hijabs for female Muslim athletes around the world in a bold move which has reignited debate about women competing in sport in the conservative Islamic world. "The Nike Pro Hijab may have been more than a year in the making, but its impetus can be traced much further back, to an ongoing cultural shift that has seen more women than ever embracing sport," Nike said in a statement, according to Al Arabiya English. The sports hijab, which took 13 months to design with input from athletes across the world, including Emirati Olympic weightlifter Amna Al Haddad, will go on sale to the general public in Spring 2018. It will feature tiny holes which make the fabric more breathable than traditional hijabs, while remaining opaque in accordance with tradition. Emirati figure skater Zahra Lari was among the first athletes to receive the new hijab and took to Instagram to express her joy at Nike’s decision to produce sports performance attire that respects Muslim traditions. 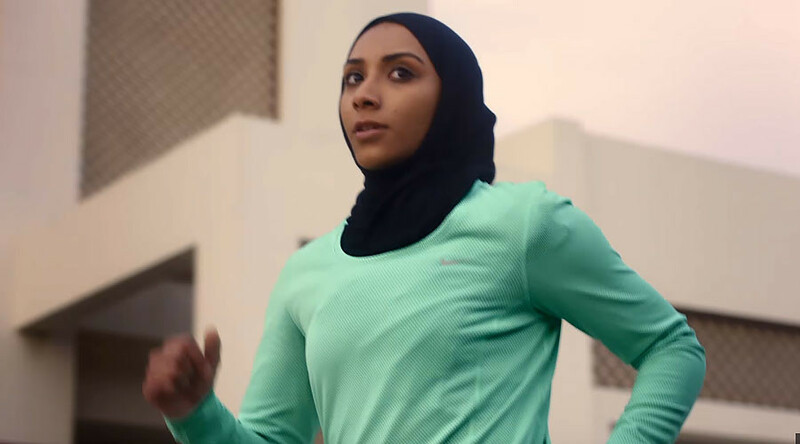 A recent Nike ad released in the buildup to the announcement of the Pro Hijab, which showed Arab women fencing, boxing and ice skating, stirred debate online. The controversial ad featured the rhetorical question, "What will they say about you?" apparently in reference to a common question asked of Arab women in the Muslim world when they attempt to challenge societal or cultural norms, according to CNN Money. Reaction to the announcement online has been mixed so far. The issue of Muslim women in sport has become a major issue in recent years, with Saudi Arabia’s decision in February to license women-only gyms sparking debate both in the Kingdom itself and the wider region as a whole. "It is not my role to convince the society, but my role is limited to opening the doors for our girls to live a healthy lifestyle," said Saudi Princess Reema bint Bandar, a senior official at the General Authority of Sports, as cited by Reuters.